Travel insurance is as essential as your passport, regardless of your travel destination. There is an old saying, if you can not afford travel insurance, then you simply can not afford to travel! FOMO Travel is a firm supporter of this philosophy. If you incur medical expenses while overseas and you don't have travel insurance, you are personally liable for covering these costs. The Government cannot pay for medical expenses overseas. Nor will your domestic private health insurance provider. Travel insurance can cover the events that may occur before or during travel, such as trip cancellation/interruption, medical expenses for injury or illness, theft of valuables, baggage delay or damage and more. The cost of travel insurance is based on a number of factors such as the type of cover requested, the age of the insured, the destination of travel, length of stay and any pre-existing medical conditions. A wide range of travel insurance policies are available so shop around in order to find the policy that best suits your circumstances and travel plans. While most people travel safely overseas, some find themselves in trouble. Each year there are millions of cases of people having difficulty overseas. This includes cases of hospitalisations, deaths, and evacuations to another location for medical purposes. Medical treatment overseas can be expensive whether it is for injury from an accident or for illness such as food poisoning, appendicitis, or heart attack. In cases where the individuals are not covered by travel insurance, such personal tragedies can be further compounded by a long-term financial burden. Hospitalisation, medical treatment, medical evacuations, or even the return of the deceased's remains to there home country, can be very expensive. Daily hospitalisation costs in Southeast Asia regularly exceed $800; return of remains from Europe to somewhere like Australia is in excess of $10,000. The cost of medical evacuations from the United States regularly range from $75,000 to $95,000 and sometimes up to $300,000. Medical evacuations from islands in the caribbean have occurred in which costs have exceeded $60,000. Unfortunately, not all of these cases involved travellers covered by travel insurance. Travellers who are not covered by insurance are personally liable for covering incurred medical and associated costs. As a result, families have been forced to sell off assets, including their family homes, to afford to bring other family members home. Where you cannot obtain travel insurance to cover you personal circumstances, you seriously should consider the potential financial risks before deciding whether to proceed with planned travel overseas. The best advice we can give you, like all travel related purchases, is get a quote, do your research and choose the best deal that suits you. Below we have provided a list to some of the biggest travel insurance providers world wide. Although we have said to get quotes and look at all your options. FOMO Travel can highly recommend World Nomads for your travel insurance needs. You can get a quick quote for travel insurance at the top of this page, or you can check out our dedicated World Nomads page for all their information. Just like hotels and flights, one of the best ways to find the best travel insurance deals is to use a booking engine that searches multiple providers. We have provided two search engines that will search multiple travel insurance providers across the globe so that can can compare and choose the best option that suits you all in one easy location. Like we say with accommodation and flights, its always best to get more than one quote, especially for travel insurance. 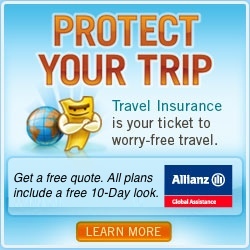 We have provided links below to some of the biggest and best travel insurance operators. You will notice that some of these operators specialise in different areas. As well as getting quotes from the two main search engines above and although we recommend World Nomads as a great provider of travel insurance, we also recommend that you get a few more quotes from specific travel insurance providers as well. Travel insurance is one of those products where cost can be quite a big difference between providers, so make sure you read the Product Disclosure Statements for each provider carefully to make sure it will suit your particular needs. 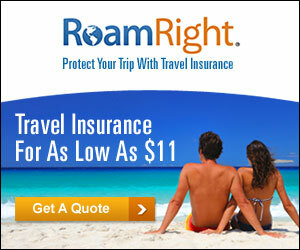 Below we have links to a number of travel insurance providers. FOMO Travel suggests that you at least get an online quote from all these companies and compare each of the options available. It only takes a few moments to generate a live online quote and it is fairly easy to then make your choice and complete a booking. A few things you need to know about travel insurance. Travel insurance is a contract. Always read the product disclosure statement and ensure that you understand exactly what your policy covers. Travel insurance is not unlimited. It may not cover you for cancellation or change to travel plans. Keep a copy of the product disclosure statement for your records. Some policy trip cancellation clauses do not cover costs associated with a trip cancellation resulting from a change to the travel advice for your destination. When shopping around for coverage, make sure your insurance policy will cover you for the activities you plan to participate in and is valid for the duration of your trip. Always clarify any specific policy issues directly with the insurer, preferably before you proceed with the planned travel. Ensure that medical cover offered under the insurance policy is adequate for possible expenses in the country you are going to visit. In some parts of the world medical costs can be very expensive. Ensure you declare any pre-existing medical conditions you may have. Failure to do so may nullify all coverage. There are standard general exclusions on most types of travel insurance policies. These can include acts of civil unrest, self-inflicted injury, acts of terrorism, loss or theft of unattended baggage, and pre-existing medical conditions. Some travel insurance policies may be invalidated when injuries are sustained as a result of being under the influence of alcohol or drugs. Standard travel insurance policies generally exclude 'dangerous' or 'extreme' activity, such as snowboarding or surfing, rock climbing, kite surfing, hunting, bungee jumping and scuba diving. In some cases you can pay an additional premium to cover such activities. If you intend to hire cars, motorcycles, jet skis or any other motorised vehicle, talk to your travel insurer to check if it is covered by your insurance policy and seek advice on any restrictions that may apply, such as riding a motorcycle without an Australian licence or not wearing appropriate safety gear. Generally, cover for luggage and personal belongings is limited and expensive items such as cameras, laptops and/or jewellery may have a per-item limit. In some cases you can pay an additional premium to cover valuables to a pre-determined amount.